Allie Kiick, daughter of former Miami Dolphins’ star Jim Kiick, overcame cancer and four knee surgeries to play in the U.S. Open. There was an old pop song called “Here Comes That Rainy Day Feeling Again” that said it always seemed to be Monday before clouds appeared and took away one’s sunshine. 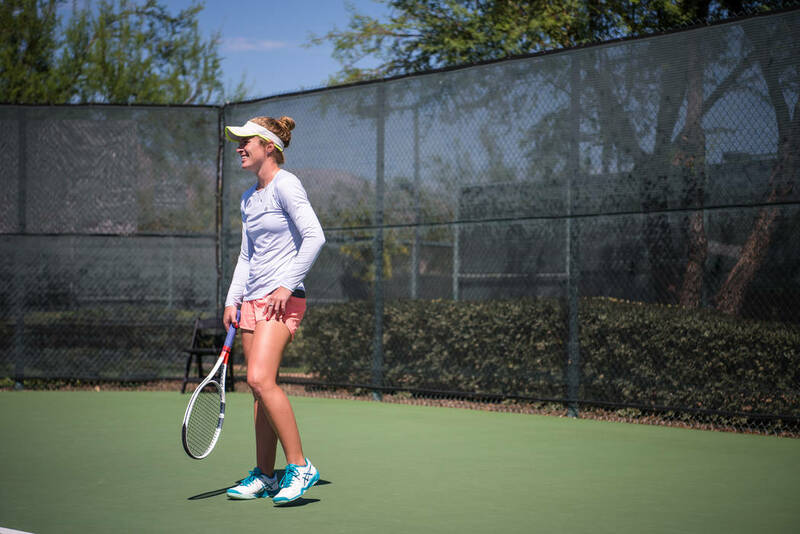 And so it was for the pro tennis player Allie Kiick, who started her day at Red Rock Country Club on Monday after learning her family’s condominium in Florida had nearly been washed away by Hurricane Irma. “The house in Fort Lauderdale is like under water. 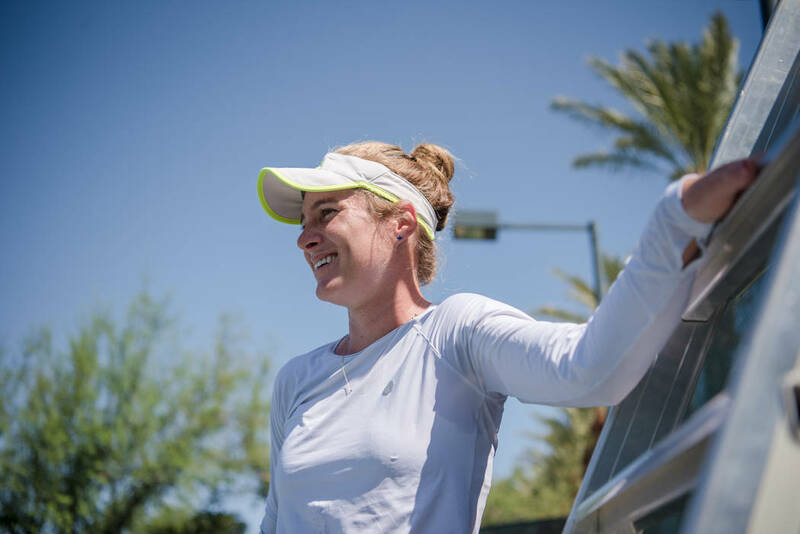 But everybody is safe, and that’s all I can be grateful for,” said the pleasant 22-year-old who will play in the $60,000 Red Rock Pro Open challenger event that begins Tuesday. 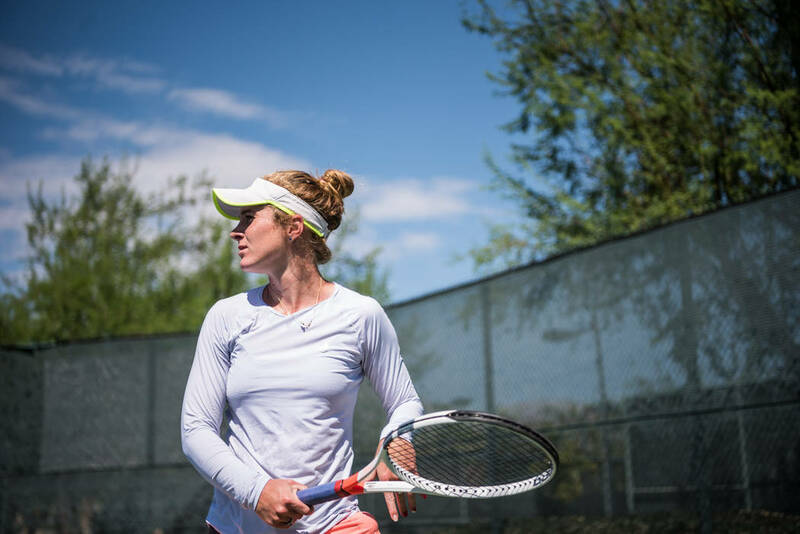 Kiick will face Katie Boulter of Great Britain in a first-round match Wednesday with starting time to be determined. Kiick forced a smile as she spoke of Irma’s wrath. A hurricane packing torrential rains and sledgehammer winds wasn’t going to take away her sunshine, not after what she endured before Irma started unleashing blustery ground strokes. Four knee surgeries, two on each side, have derailed her once promising career and put her on the sidelines for nearly two years. That was discouraging, but not life-threatening. Then Kiick was diagnosed with Stage I melanoma. That was life-threatening. The cancer left her with nasty scars on her back and in long sleeves hitting practice tennis balls on a sultry 99-degree day at the Red Rock courts. Getting that cancer call was like facing the Williams sisters at the same time. With a wooden racquet. “I thought I was going to die,” Kiick said in the Red Rock players lounge. While this was happening, her father’s mental health slipped to the point he had to be placed in an assisted living complex. Allie Kiick’s father is Jim Kiick, the former Miami Dolphins football star — Butch Cassidy to Larry Csonka’s Sundance Kid when they blew through defensive secondaries with funky mustaches and both guns blazing, as if they had just robbed a train. Butch and Sundance, Sundance and Butch. And a little pinch of Mercury (Morris). Jim Kiick, 71, now suffers from dementia/early onset Alzheimer’s. It was likely caused by ramming the two skinny bars of his face mask into the full cages of guys who were a lot bigger than him, at least until he and Sundance bolted for the World Football League. Two weeks ago, Allie Kiick made it all the way back from those debilitating knee surgeries and having chunks carved from her back to play in the U.S. Open. Sure, she lost in the first round 6-2, 6-1 to No. 25 seed Daria Gavrilova of Australia. But it was her proudest moment as a young pro, one she shared with her dad, even if he didn’t totally grasp the magnitude of her accomplishment. But Jim Kiick’s memories of his tennis-playing daughter have blown across the playing field of his mind like confetti at old Rich Stadium in Buffalo on a gray November day. There’s a post on Allie Kiick’s Twitter account that shows her and her father playing basketball in August. Jim Kiick’s defense resembles that of the 1972 Houston Oilers, who went 1-13 while her dad and Larry Csonka and Bob Griese (with a huge assist from Earl Morrall) ran the table by winning the Super Bowl with a 17-0 record. But otherwise her dad looks well. Jim Kiick no longer sports the funky mustache, his daughter confirmed with a laugh. He’s living in Orlando, Florida, and he survived the hurricane without incident. She showed a reporter and others seated at the table with a more keen appreciation of haute couture a photo of the shoes she purchased in New York when she learned she would play in the Open. Valentinos. Italian-made. They had straps and studs and looked expensive, something that Richard Gere might have bought for Julia Roberts in the movies. 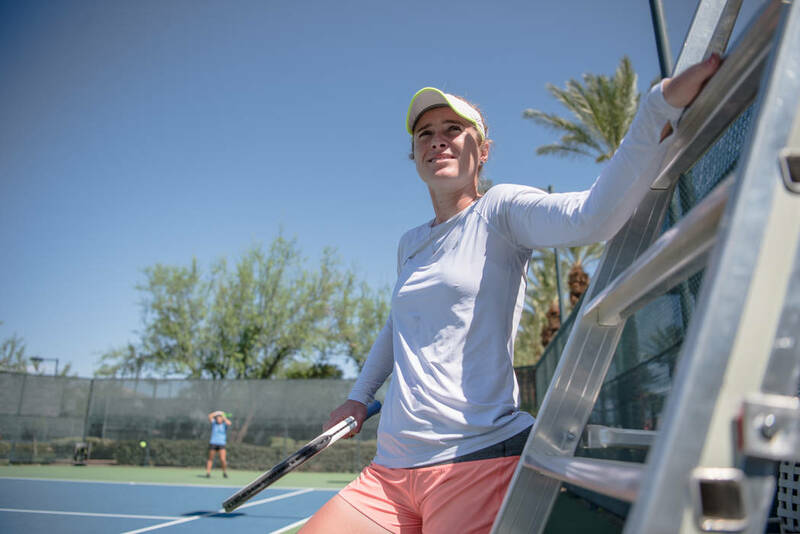 Allie Kiick had played tennis at the U.S. Open where her comeback had inspired a lot of people, and now there’s a pair of Valentino Garavani shoes in a closet in Orlando, Florida — straps and studs and spiked heels placed high on a shelf, where hurricane waters dare not flow.